Read them? Good, because there is no way I can write about Allegiant without spoilers. I’ll try to leave out what I can, but there is just SO MUCH TO TALK ABOUT. Let’s start with a quick summary. At the beginning of the book, the Factionless have taken control of the city, declaring that there will be no more faction system. Tris is under arrest for treason, for trying to help stop the attack on Janine- which was done only to help release information that has been hidden for years. Tobias and Tris were at odds, since he was working with his mother and not with Tris, until the very last minute, when Tobias helped release the hidden information behind his mother’s back. The information contained a message from one of the original settlers of the establishment, revealing that there was life outside the city limits and why the establishment was originated. Now, as the novel continues, the point of view switches between Tris and Tobias every chapter. This was a little tricky for me, because for the last two books, I’ve been completely inside Tris’ head, and then getting into Allegiant, I had to start thinking like Tobias as well. There were a couple of times where the pace got fast, and as chapters whipped by, I had to go back and double check who’s point of view I was reading from. I disliked having to do that as it slow my pace, but at the same time, it was interesting to get the multiple points of view. I believe it made sense for the story to split the views, and come the end of the book, it was definitely necessary. As the novel goes on, the reader finds out what is beyond the city establishment, and the whole story of how the economic structure came to be and how the ongoing genetic reconstruction experiments occurred completely redefine the lives of the main characters. 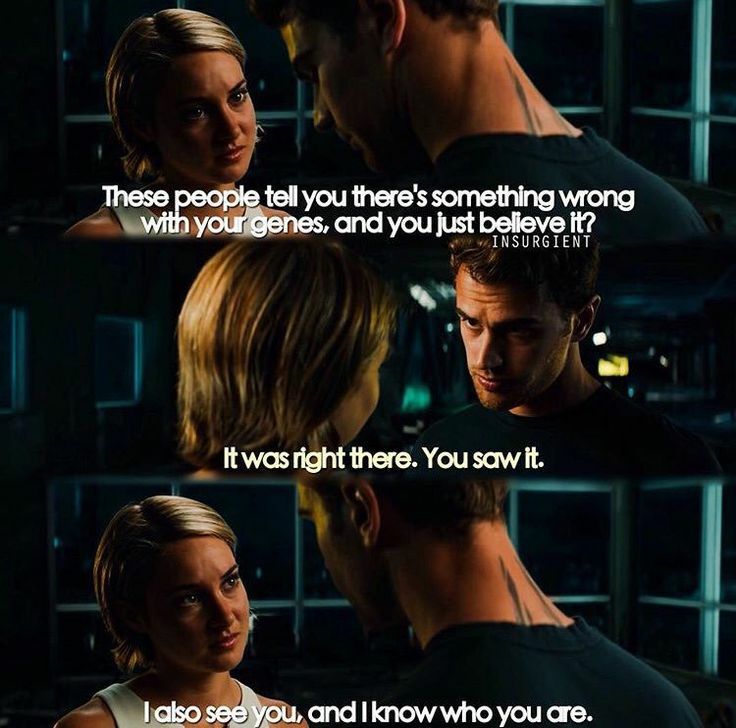 As layers of the truth are revealed, you can predict an uprising coming from Tris and Tobias, but how it played out completely astounded me. This revelation complicates the fierce relationship problems between Tris and Tobias. One minute, they are on the same team, ready to fight, absolutely absorbed by each other. The next, they’re racing against each other, throwing the harshest dagger-like comments at each other, and barely speaking. Add the additional character’s conflicts, and you can see why this novel packs a punch. Basically, your heart is the punching bag, and Roth knows how to hit it- and even if you saw it coming, it still hurts. I don’t want to give the ending away, but I have to talk about that ending. The minute that the rebel group decides to send in a certain someone to set off the “reset” serum, I knew Tris wouldn’t let that happen. When she makes it through the first set of doors, I was thrilled that once again her Divergence won out. But then I knew that when you-know-who showed up, it was over. And I couldn’t believe it. I couldn’t believe that Roth would do that to her readers. And I fought back tears because I was both sad AND angry. It’s been a long time since I’ve read a book where this situation occurs, and I wasn’t expecting it. At least there is resolution, and I guess in retrospect, one of the themes running through the series is moving on despite the past. So, with that in mind, I’m moving on from this series a little battered, but with no regrets. It was captivating and exhilarating, and I’m crushed that this is the end. Well, at least until I get my copy of Four, but even so. Despite the ending, I completely recommend the read. Also, I’m gonna leave you with this, in hopes that you giggle.